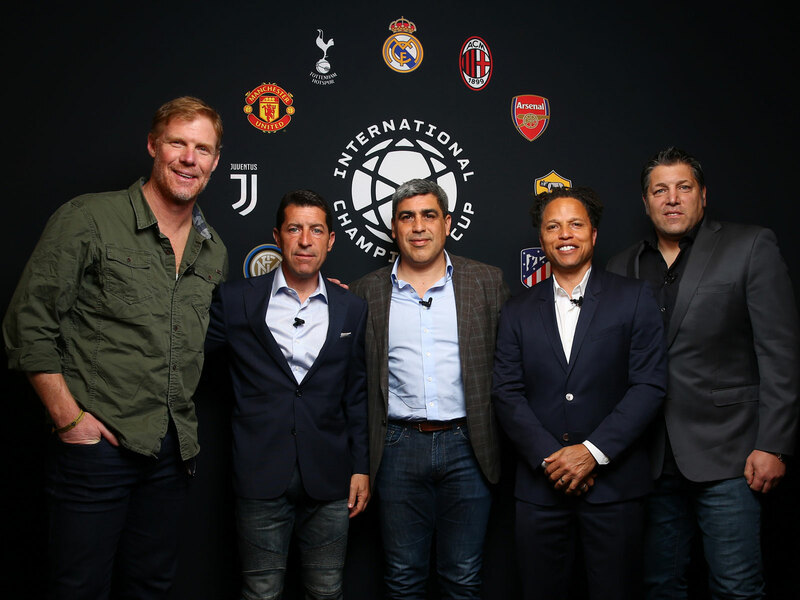 Alexi Lalas, Tony Meola, Claudio Reyna, Tab Ramos and Cobi Jones discuss the story and the influence of the 1994 USMNT and their thoughts on the state of American soccer today. 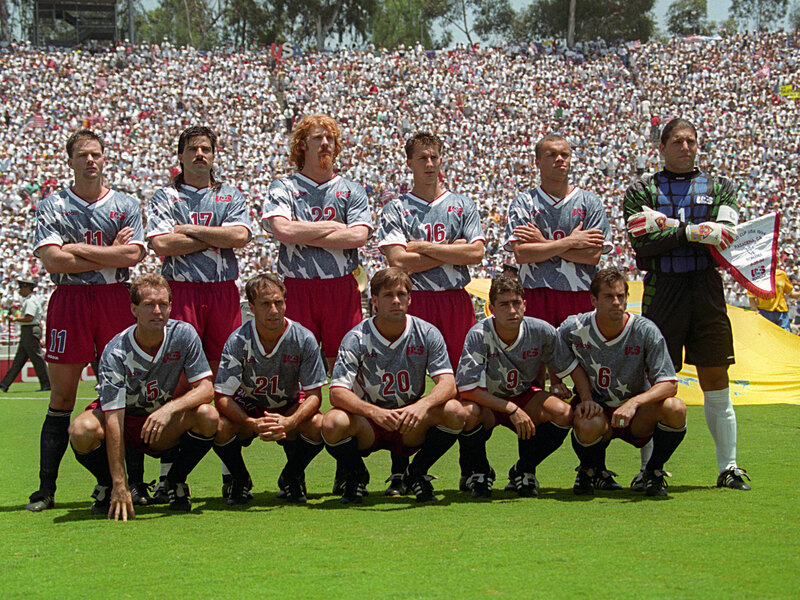 This summer marks the 25th anniversary of the U.S. men’s national team reaching the round of 16 at home in the 1994 World Cup, and in the latest episode of the Planet Fútbol Podcast, we feature a panel with five members of that team—Alexi Lalas, Tony Meola, Claudio Reyna, Tab Ramos and Cobi Jones—discussing that memorable summer at the 2019 ICC tournament launch in New York City. You can listen to the full episode in the podcast console below and subscribe to and download the Planet Fútbol Podcast on iTunes. Recent guests include Sporting KC manager Peter Vermes, broadcaster Julie Stewart-Binks, MLS commissioner Don Garber, Minnesota United's Collin Martin, MLS standouts Zlatan Ibrahimovic, Wayne Rooney and Bastian Schweinsteiger, USWNT's Julie Ertz and Bundesliga-based U.S. national team rising stars Josh Sargent and Tyler Adams. “He was like Yogi Berra and Yoda mixed. It was incredibly frustrating to a lot of players, and depending on where you were in your career and certainly your age. For me, he was huge, because he made me look at the game in a completely different way and asked me to think about my game and the game that I was playing and every moment of the game in ways that I hadn't thought of before. For some older players and players who were further along their career, it could be incredibly frustrating, the type of trainings that we did, the constant testing—not just physical testing but psychological testing. Meola: “But we did. We actually put our foot on the pedal a little bit if you remember. We had some opportunities and we get the fortunate goal, and of course that has a history behind it [with the scorer of the Colombian own-goal, Andrés Escobar, tragically murdered in Colombia not long after his team’s World Cup exit]. And then maybe the best pass that we've ever seen at the national team level, Tab to Earnie Stewart over the top and then a great finish. If you go watch that pass in that game, you’d be really hard pressed in the entire history of the U.S. men's national team, I don't know if you guys agree, to find a better pass threaded through two players.